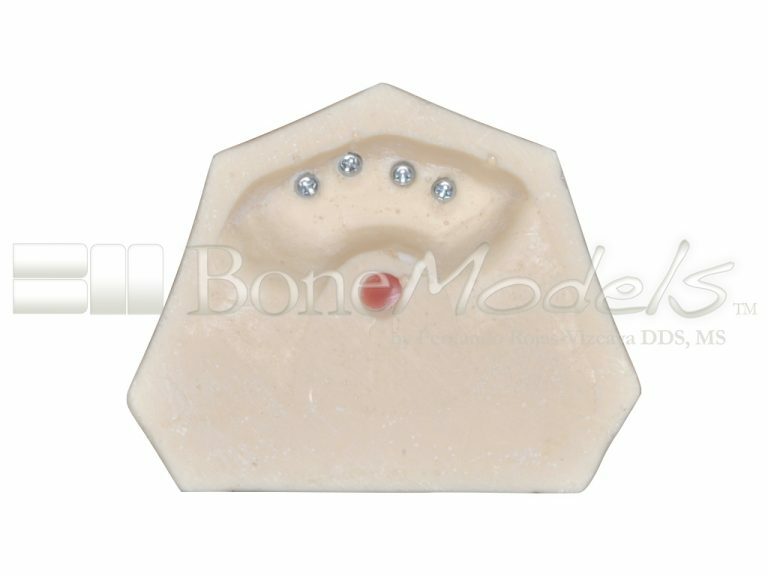 U-074: Maxillary model with some ivorine teeth in the anterior area and soft tissue in this area. 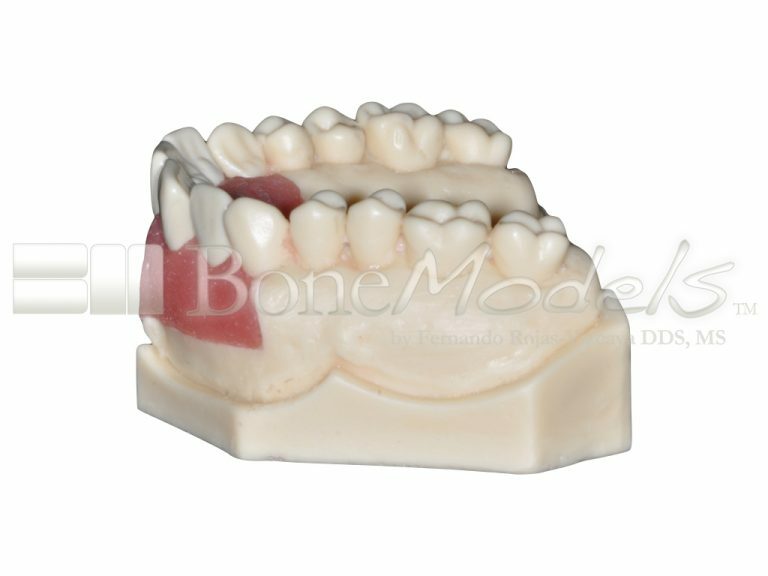 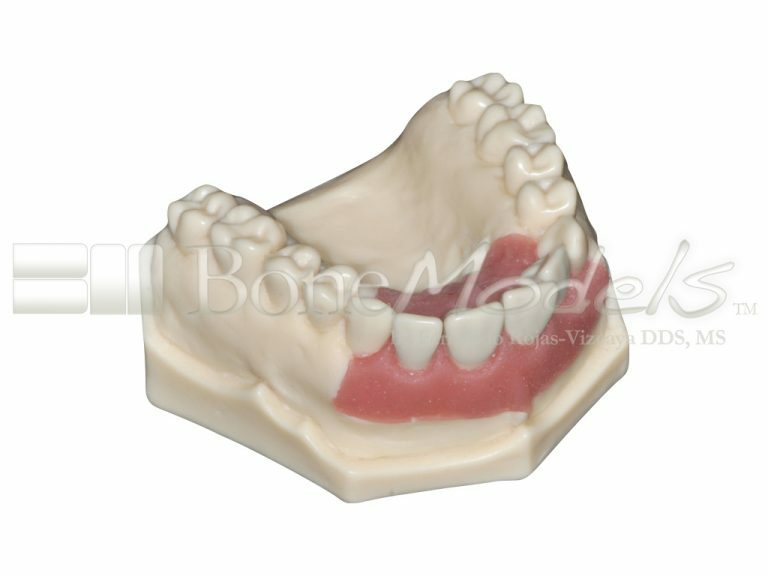 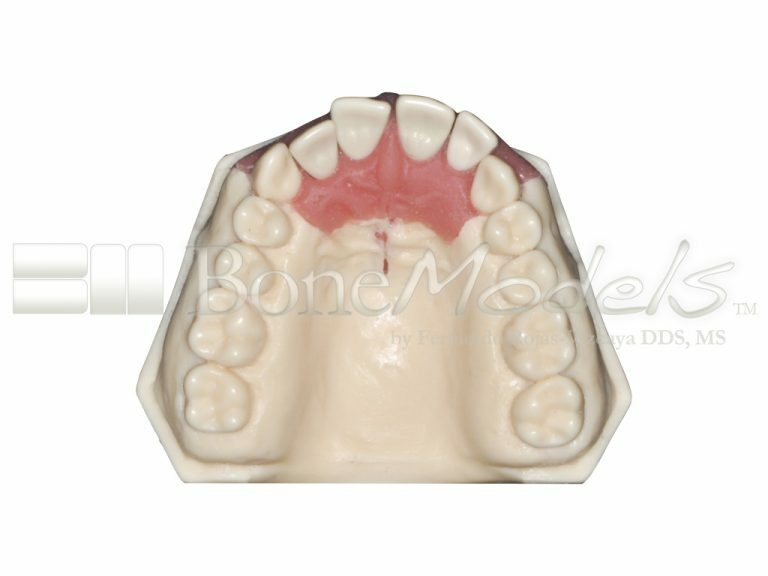 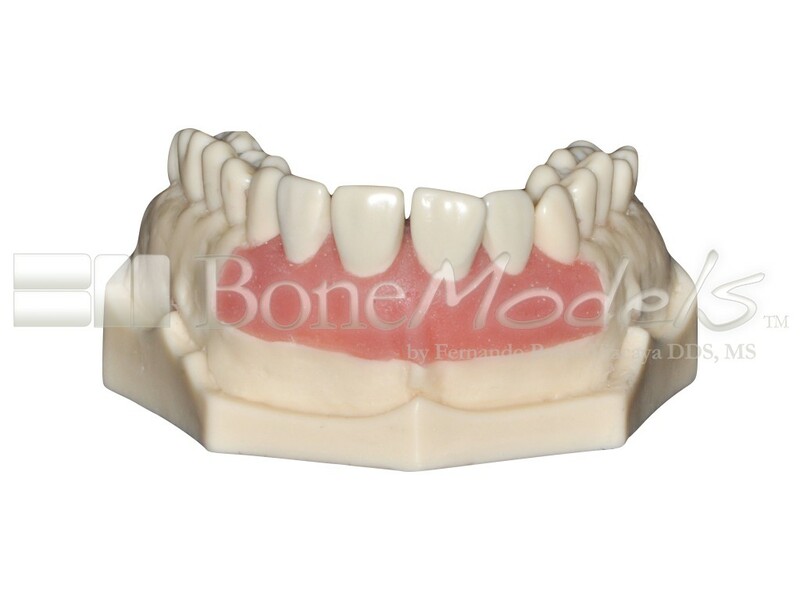 Maxillary model with ivorine teeth; both centrals and both laterals, with bone and soft tissue. 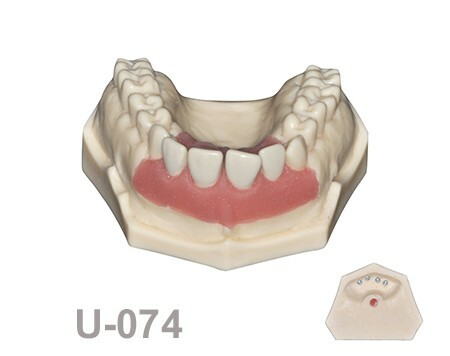 Ideal for teeth preparation for veneers or/and crowns. 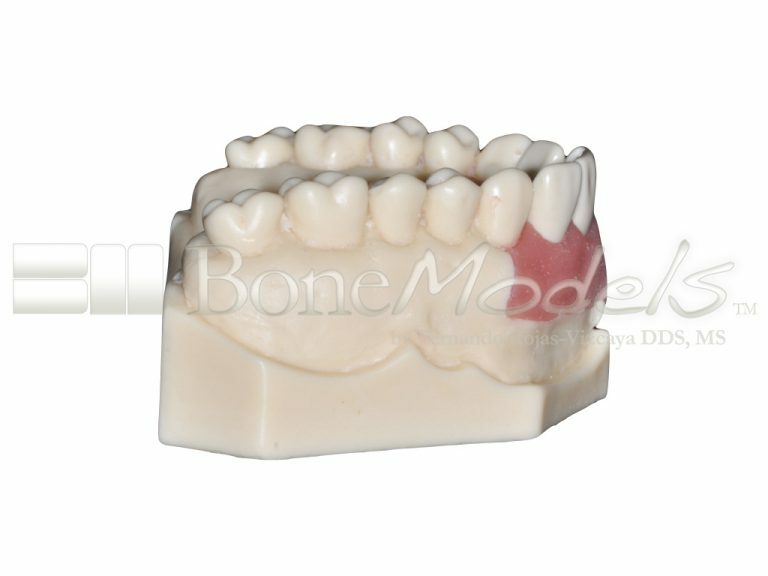 Teeth are removable and replaceable. 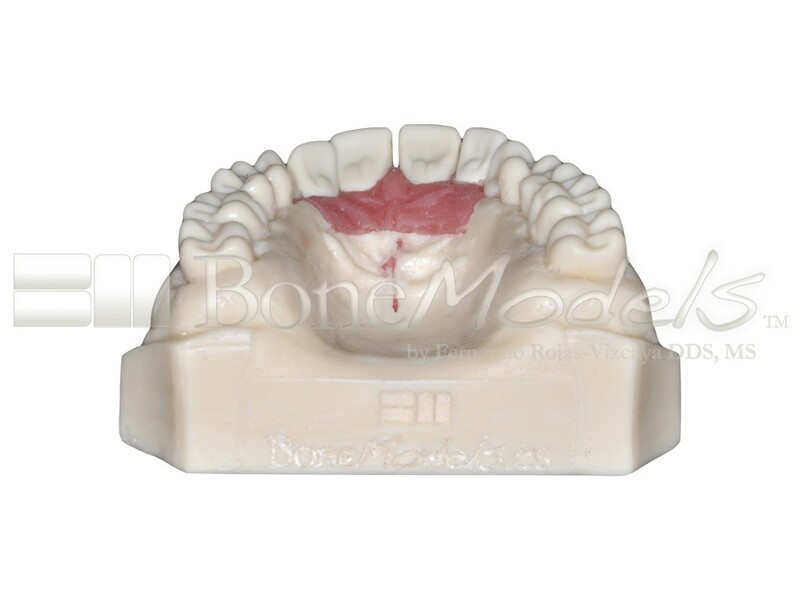 Soft tissue allow for retraction cord placement. 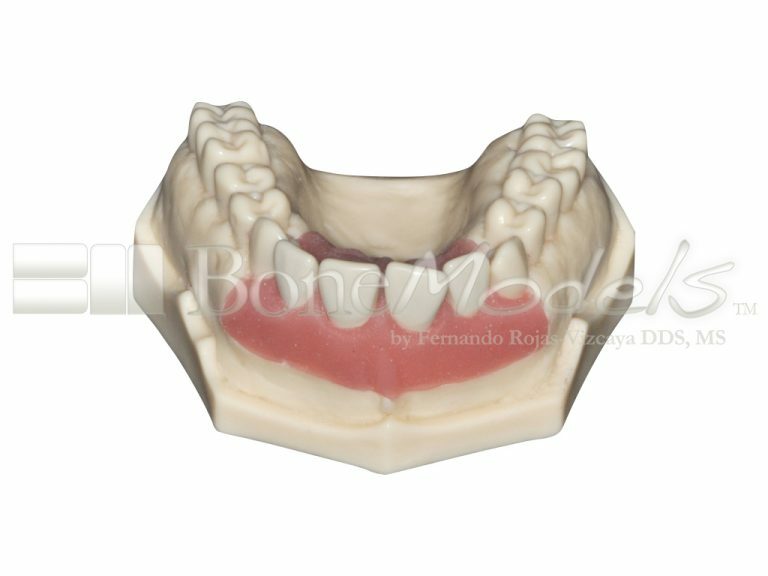 Dr. Fernando Rojas-Vizcaya DDS, MS is the BoneModels Chief Executive Officer and this company is located in Castellón de la Plana, Spain.